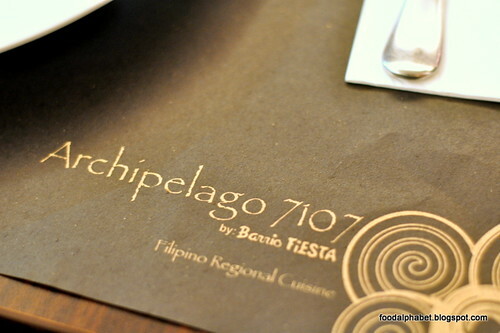 Archipelago 7107 by Barrio Fiesta is a perfect example of classic meets modern tradition. 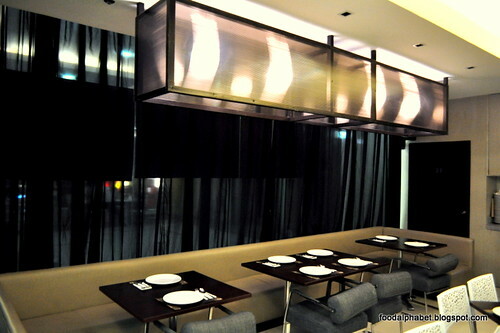 With her modern fixtures and exquisite Filipino specialty foods, makes her a must-go food destination. 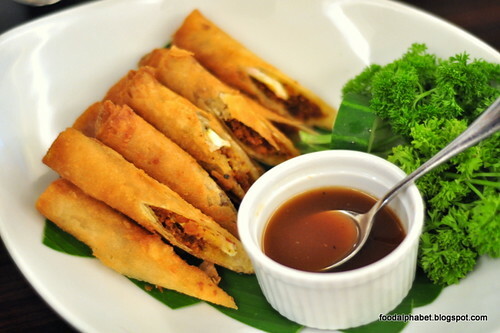 Tinapa roll (P175), fried spring rolls with sweet sauce. Not your ordinary spring rolls, since they're made with tinapa fillings. It's the perfect starter to tease those taste buds. Get to try both of these delicious rice combinations. on the left we have Ilocano Rice (P245), which is made up of crisp fried bagnet, Vigan longganisa, salted egg, onions, tomatoes on top of flavored rice and on the right, we have Tuyo Rice (P175), garlic fried rice with dried fish, scrambled eggs and tomatoes on the side. 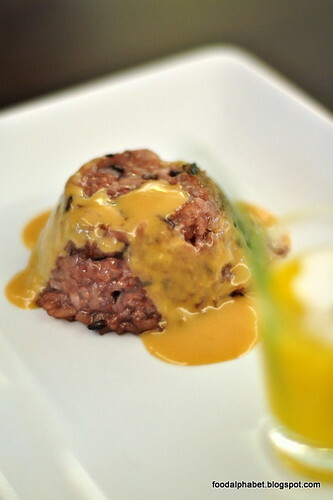 These rice specialties are a meal itself, combining the best of the North and the best of the South. This would surely capture every Filipino's palate. 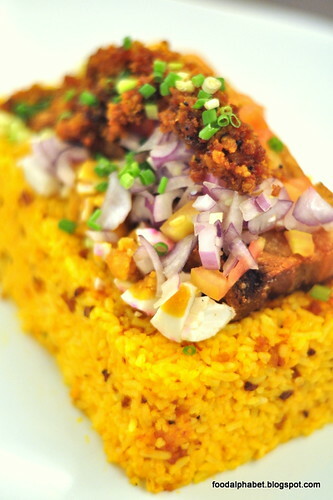 Bopis (P245), a favorite dish amongst Bicolanos for its spicy taste is now a dish savored by all Pinoys. 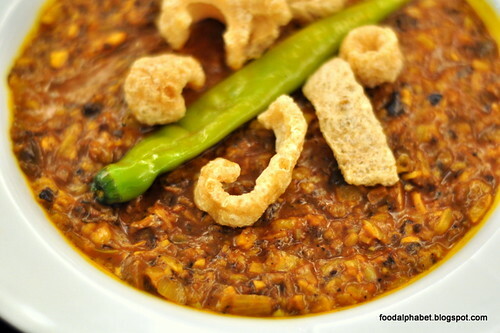 May it be a dish or for pulutan it is one that will always stay as a staple "ulam" for all Filipino families everywhere. 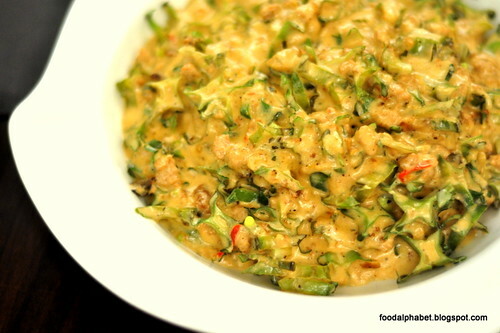 Gising gising, another spicy vegetable treat, made with "gata" coconut milk with red peppers. 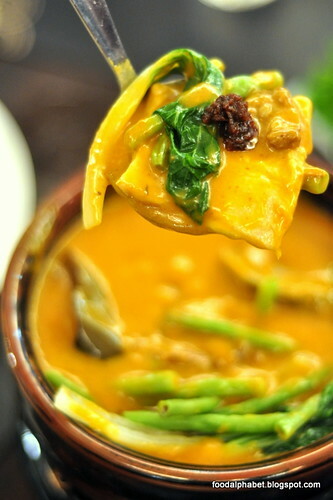 Oxtail and tripe stewed in peanut sauce, is our Kare-kare, by far one of the most popular dishes in the Filipino staple, dipped with "bagoong" fish paste, makes every bit more enticing. 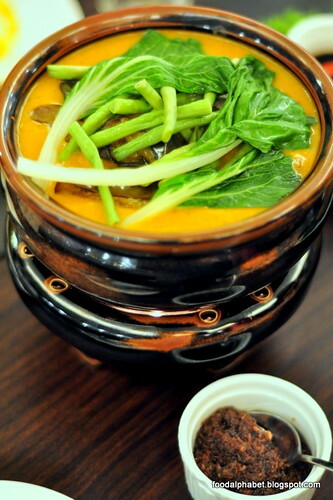 The peanut sauce is just so good, that I can finish a bowl of rice just by pouring Kare-kare sauce on top of it. 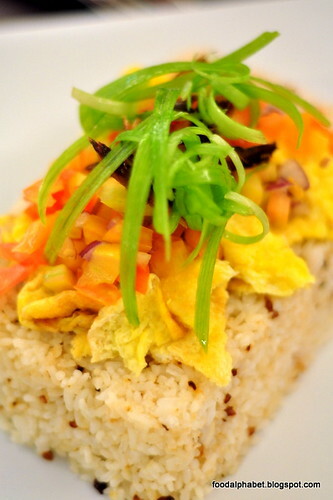 Mixed with vegetables is always on the dinner menu selection of every Filipino family. 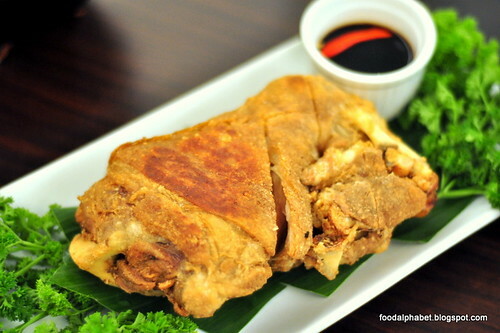 The Crispy Pata (P520), the dish that made Barrio Fiesta, the name that it is today. Pork knuckle fried to a crisp, is everyone's fancy, and is always a deal breaker when it comes to healthy diets. 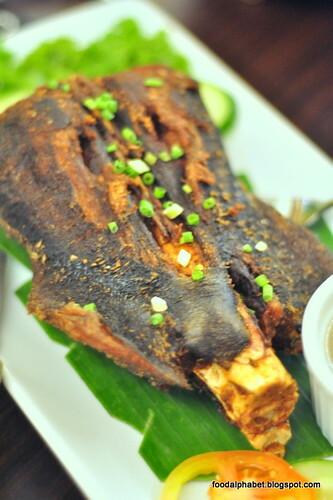 Crispy Paksiw Buntot ng Bariles (P385), a Davao tuna dish, is a favorite among Archipelago 7107's regular guests. This is what I would always have on my to-order list. Bowl of Feast, or "Bulyabes" (P345) as called in Barrio Fiesta, is a favorite of mine since I was a kid, during the good ol' days in Barrio Fiesta in J. Bacobo, Manila. 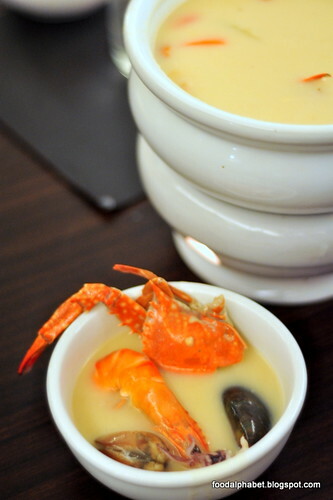 A seafood bouillabaisse cream soup, filled with the freshest catch from the sea. 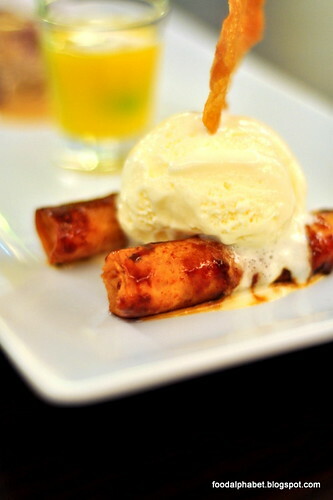 For dessert it was a mix and match of Turon and Sorbetes (P85), Coco Mango soup with pandan balls and sago (P95) and Pirurutung biko at mangga (P115). 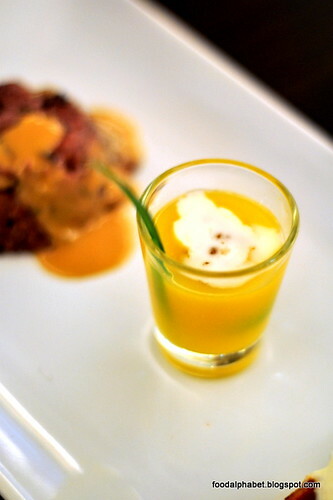 Sweet tasty treat to cap a night of great tasting dishes. 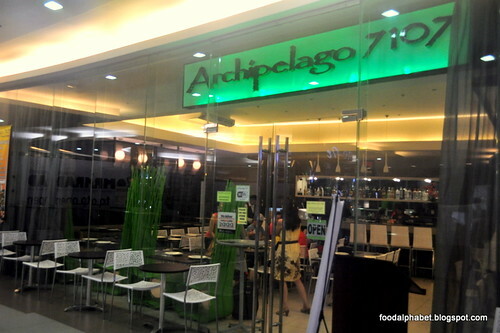 Take time, visit and dine at Archipelago 7107, and know why people have been coming back for more. 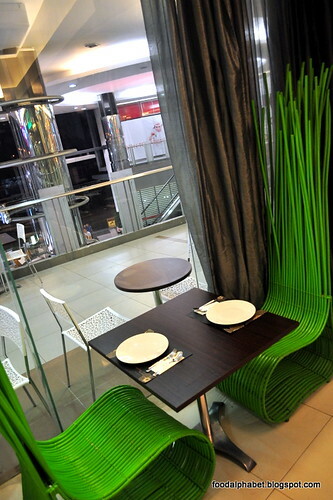 Filipino great tasting food at reasonable prices. More is always better with Greenwich pasta!